Nashville Domestic Violence Lawyers | Need To Beat A Charge? Call Us. Whether you have been accused of domestic violence or are a victim needing the legal know-how to strengthen your case, a domestic violence lawyer at SBL can help. In either case, we understand that you may be feeling scared, anxious, embarrassed, and even betrayed. Before talking to anyone about your situation, please consult with a criminal attorney. Why choose SBL for your domestic violence lawyer? Orders of protection are commonly associated with domestic violence. We frequently serve as an Order of protection lawyer for respondents & petitioners (one side or the other – not both parties). The most common reason we are hired to serve as a domestic violence lawyer is for a domestic assault charge. Our assault lawyer & aggravated assault lawyer pages have additional information related to misdemeanor and felony domestic assault charges, respectively. Another common scenario is violation of probation for domestic violence. Contact us for more information about this. What's The Biggest Mistake We See With Domestic Violence Allegations? The **biggest mistake** we see people make is communicating with the alleged “victim.” It is highly encouraged to get a domestic violence lawyer as soon as possible. Regardless of what situation you are in, at least consult with a domestic lawyer before doing anything else. Can The Victim Drop A Domestic Violence Charge? The state of Tennessee is bringing the charges against you. The state of TN will more than likely move forward with or without the victims’ consent. In TN, even if the alleged “victim” wants to drop the charges, the prosecutor’s office very often chooses to prosecute the crime. There is political pressure for them to continue prosecuting. Many prosecutors and judges alike have lost their jobs after dismissing domestic charges against a person that later murdered the victim from the original domestic charge. It is undoubtedly a factor in your favor when the “victim” does want to drop the charges. The difficulty is deciding exactly how to take advantage if this factor. While the defendant should never talk to the victim, the same rules do not apply to their domestic violence lawyer. The quicker you get someone fighting for your side, the better your chances of getting out of it are. So start taking control of your fate and call SBL to talk to your domestic violence lawyer today. Absolutely! In fact, you need a really good one. Consequences for a domestic-related conviction are severe. Any resolution that does not remove the charge from your record can cause economic and social problems for most people. For the majority of people, the charge does not have to affect the rest of your life. The reality is, there is an excellent chance your life can continue as if this never happened. This is not a guarantee of anything as each case is different. Call or contact us to evaluate your specific case to find out where you stand. What Is Domestic Violence In TN Law? Domestic violence is not a criminal charge. It is merely a label the courts put on certain “domestic” crimes. The “domestic violence” label tends to enhance the penalties one faces. It also tends to enhance the prosecutor’s efforts to convict you. Having an experienced domestic violence lawyer who knows all the ins-and-outs of how to defend criminal charges with the domestic violence label is highly recommended. Retaining a domestic violence lawyer who knows all the ins-and-outs of how to defend criminal charges with the domestic violence label the best move. The types of cases commonly affected by the domestic label are domestic assault, DCS investigations, harassment, stalking, child endangerment, child abuse, kidnapping, false imprisonment, orders of protection, and violations of orders of protection. Cynthia Sherwood has been a domestic violence lawyer in Nashville for almost 20 years. She is very experienced with all of these types of cases having represented clients with virtually every combination of two or more of these charges. Why SBL For Your Domestic Violence Lawyer? SBL has significant experience handling charges with the “domestic violence” label. Cynthia Sherwood, SBL’s founding attorney, was also the Chair of the Domestic Violence Project for several years. Personally, she has over eighteen years of experience defending people charged with crimes related to domestic violence. For the past eighteen years, SBL has represented some of the most complex cases from both the defendant’s side and the victim’s side. Very few law firms have the same level of nuanced understanding. SBL is the choice for defending domestic violence charges in Middle TN. You do not have to fight this alone. We can and will help guide you through this challenging time. All you need to do is take the first step. Find out exactly how we can help by setting up your free consultation today or call (615) 873-5670. Negotiate a diversion agreement to have the charge dismissed and expunged. A conviction can also be avoided by negotiating a diversion plea to the charges. Pursuant to a diversion plea, your “guilty” or “no contest” plea may be held in abeyance, meaning that the conviction is not entered but rather you are asked to take a class, do community service, and/or placed on a form of probation under certain terms and conditions. If you successfully comply with the terms and conditions of the diversion agreement, your charges can be dismissed and expunged from your record. However, if you fail to comply with the terms and conditions of the diversion agreement, your conviction can be entered. SBL’s clients have always completed their domestic violence diversion and have never had a conviction entered as a result. 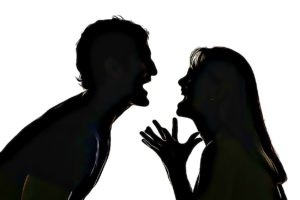 A conviction for domestic violence can also be used against you as a basis for obtaining a protective order or in a divorce proceeding if the parties are having a custody dispute. Those convicted of domestic violence-related crimes may also be subject to enhanced or increased penalties if they receive future convictions for other domestic violence offenses. There is also a public stigma attached to domestic violence crimes, and a conviction could interfere with your ability to get a job, apply for credit, rent a home, or volunteer with specific charities. If you are not a U.S. Citizen, a conviction for any domestic violence crime may prevent you from obtaining citizenship and may result in deportation (this includes misdemeanor crimes of domestic violence and even diversion pleas). Anyone convicted of a crime of domestic violence loses the legal right to possess either a gun or ammunition of any kind, including hunting rifles and shotguns. Moreover, if you have been arrested for a crime in a domestic violence case, such as assault, stalking, and others in most circumstances, you will be required to serve 12 hours in jail as a mandatory hold before you can post bond. If, however, you are able to contact an attorney quickly, there are certain circumstances under which that hold can be waived with zealous advocacy. Are or were related to by marriage. Mandatory loss of your right to possess a firearm for the rest of your life. Moreover, if you have been arrested for domestic assault in Tennessee, in most circumstances, you will be required to serve 12 hours in jail on a mandatory hold before you can post bond. There are, however, certain circumstances under which that hold can be waived with zealous advocacy. The difficulty is contacting an attorney quickly enough. Please don’t wait another day – if you need help, call SBL immediately to help protect your rights and your future. At SBL, we provide defense services in both felony and misdemeanor cases, and we have built a reputation as ethical lawyers who are dedicated fighters on behalf of our clients. Disclaimer: None of the content on this site should be considered as legal advice or counsel. For professional legal advice on any legal matter, contact Sherwood Boutique Litigation.